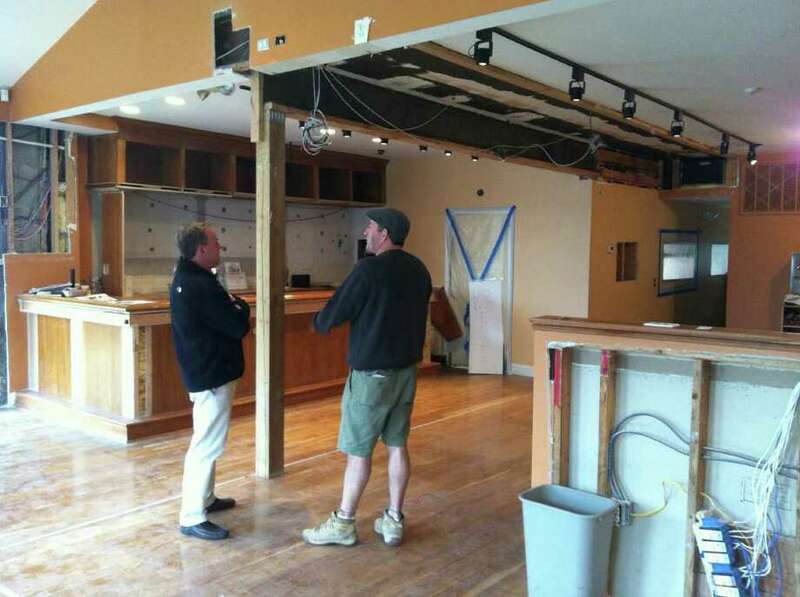 The former venue of The Fairfield Spot, a short-lived restaurant near the downtown train station, will soon come alive once again as three restaurateurs are working to open a new eatery there by early summer. "It's going to be a really cool spot when it's done," said Scott Beck, one of the partners who co-owns SoNo Restaurant Group. "We're still refining everything." Beck, whose group consists of South Norwalk's Match and The Loft and The Tavern in Monroe, will own and operate the establishment with Matt Storch, Match chef and co-owner from Fairfield, and Kevin McHugh, co-owner of Southport's Grey Goose and the new Spotted Horse Tavern in Westport. The partners -- graduates of Staples High School -- have yet to decide on a name for the new restaurant, Beck said. They signed a 20-year lease for the site last week because of high visibility of the Unquowa Place location and ample parking, Beck said. "It's a tremendous location right in downtown Fairfield," said Beck, also a Fairfield resident. "The traffic that goes by is spectacular." Storch, who will serve as the chef, is working on creating a "global-classics" menu featuring classic dishes from around the world. "You twist these classics to please the American palate," said Storch, Match's chef for the past 12 years. "I'm not leaving any cuisine undiscovered." The menu will also include "very homy, healthy classic American dishes," said Storch, who is formally trained by the Culinary Institute of America. McHugh, a former co-owner of Match, The Loft and The Little Pub who lives in Weston, will supervise the design and build-out of the new place, which will have about 65 seats and 20 employees, with Westport architect Rick Hoag. "Looking at this interesting free-standing building with its attached greenhouse, I envision a cottage-like space with reclaimed barn siding, stone, heavy beams and iron gates, all with modern accents," McHugh said in a statement. "The redesigned warm and cozy atmosphere, combined with the excellent food, will be a fantastic and welcome addition to one of Fairfield County's most beautiful towns." The Fairfield space, owned by Fairfield's Mercurio family and represented by Bayberry Property Management of Westport since July 2009, in the past 18 months has been home to two different restaurants run by a group of silent partners. The property was Greenhouse Grill for about a year until closing abruptly in September 2011, soon followed by the opening of The Fairfield Spot, which closed after about six weeks. Since then, the place featuring a glass room enclosure has laid dormant with napkins still on the tables and Bayberry's leasing sign out front. Ciara Connolly, Bayberry's vice president of sales and leasing, said her firm received hundreds of calls for the location from local restaurateurs and investors from New York and Florida since it was put on the market in late November. "Fairfield is a culturally diverse area offering a great combination of retail, trendy restaurants, universities and the arts alongside residential and open space that attracts people and businesses," she said.